JANESVILLE, WI– Wisconsin businessman Paul Nehlen has launched his latest billboard ad against House Speaker Paul Ryan. 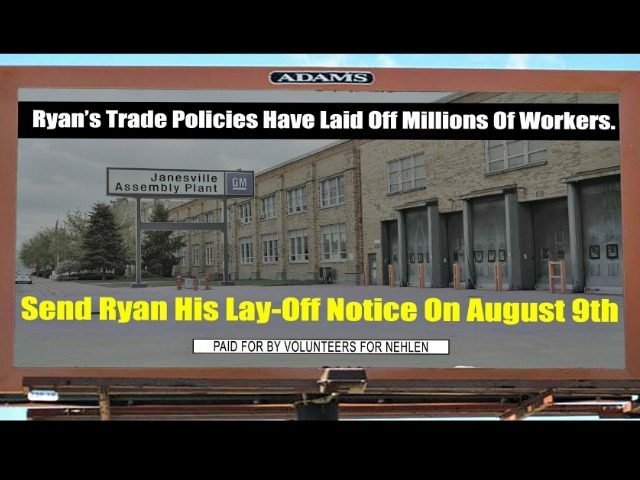 The new billboard focuses on Ryan’s support for trade policies that have shipped jobs overseas and have laid off Wisconsin workers. 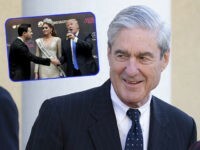 The billboard is on display in Ryan’s hometown of Janesville, Wisconsin. Behind the billboard’s text is a picture of the Janesville General Motors assembly plant, which announced its official closure last year after years of remaining idle. The image of the abandoned GM plant may have special emotional significance for the residents of Janesville. Paul Ryan and Mitt Romney went on to not only lose the state of Wisconsin in the 2012 election, but they lost Paul Ryan’s hometown of Janesville by 25 points. Since Paul Ryan took office in 1999, Wisconsin has lost one-fifth of its total manufacturing jobs. The company [Kraft Heinz Food Co.] plans to shed a total of 2,600 jobs. About 300 corporate workers in Madison will be offered jobs at the company’s co-headquarters in Chicago; the remaining 700 or so production workers here will lose their positions in three waves of layoffs over the next two years. As McClatchy has reported, trade has become a critical issue in the 2016 election. McClatchy writes, “Trade deals costly in key election states: In Wisconsin and across the industrial Midwest, economic angst is coupled with a sense of betrayal”. April Wisconsin exit polls showed that a majority of Wisconsin GOP voters (54%) believe that foreign trade kills jobs. Pew polling data shows that by a nearly five-to-one margin, GOP voters believe that so-called “free trade” deals lower American wages rather than raise them. Only 11% of GOP voters believe these trade deals will increase wages. However, despite the views of Republican voters, Paul Ryan has been one of Congress’s most vocal advocates for globalist trade policies. In 2015, Ryan acted as President Obama’s “partner” in his effort to fast track the Trans-Pacific Partnership. Wisconsin suffered a net loss of nearly 40,000 jobs in 2015 alone due to the U.S. trade deficit with TPP countries, according to the Economic Policy Institute. New reports indicate that the TPP “is expected to be put before Congress during the lame-duck session” after the voters have cast their ballots in the November 2016. Interestingly, Wisconsin exit polls also revealed that a majority of Wisconsin Republicans (51%) say they feel betrayed by the party, which is currently led by Speaker Ryan.